A few weeks ago we brought you news that Ron Burgundy has been working wonders for Dodge. Since the ad campaign began, sales for the Dodge Durango have gone up by 59 percent, despite Burgundy himself calling the SUV terrible. So why mess with a good thing and start running normal, complimentary ads? 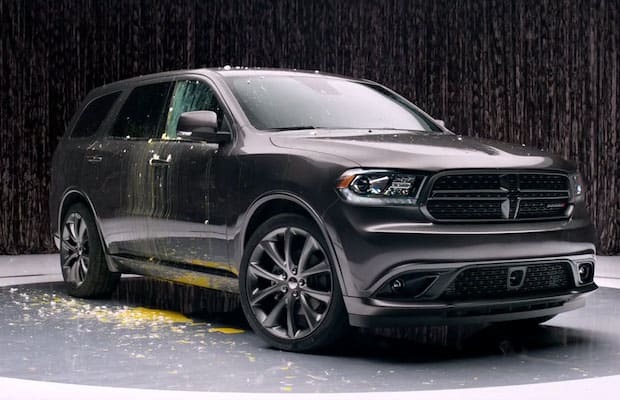 The latest commercial features more piling on the Durango. This time with eggs. Despite his best efforts, and the decoration of more than a half-dozen yolks, the Dodge still looks good. I wish I could say the same about my garage after my sister&apos;s friend egged it in high school.